Summary:Researchers have discovered a cause of aging in mammals involving a series of molecular events that disables communication between the nucleus and mitochondria. 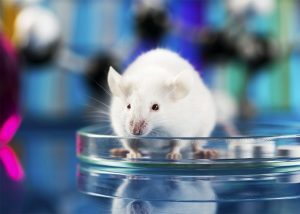 By administering a molecule naturally produced by the human body, the communication network was restored in older mice. Subsequent tissue samples showed biological hallmarks comparable to much younger animals. Mitochondria are often referred to as the cell’s “powerhouse,” generating chemical energy to carry out essential biological functions. These self-contained organelles, which live inside our cells and house their own small genomes, have long been identified as key biological players in aging. As they become increasingly dysfunctional over time, many age-related conditions such as Alzheimer’s disease and diabetes gradually set in. Researchers have generally been skeptical of the idea that aging can be reversed, due mainly to the prevailing theory that age-related ills are the result of mutations in mitochondrial DNA — and mutations cannot be reversed. Sinclair and his group have been studying the fundamental science of aging — which is broadly defined as the gradual decline in function with time — for many years, primarily focusing on a group of genes called sirtuins. Previous studies from his lab showed that one of these genes, SIRT1, was activated by the compound resveratrol, which is found in grapes, red wine and certain nuts. While the breakdown of this process causes a rapid decline in mitochondrial function, other signs of aging take longer to occur. Gomes found that by administering an endogenous compound that cells transform into NAD, she could repair the broken network and rapidly restore communication and mitochondrial function. If the compound was given early enough — prior to excessive mutation accumulation — within days, some aspects of the aging process could be reversed. One particularly important aspect of this finding involves HIF-1. More than just an intrusive molecule that foils communication, HIF-1 normally switches on when the body is deprived of oxygen. Otherwise, it remains silent. Cancer, however, is known to activate and hijack HIF-1. Researchers have been investigating the precise role HIF-1 plays in cancer growth. “There’s clearly much more work to be done here, but if these results stand, then many aspects of aging may be reversible if caught early,” said Sinclair.